Give your classic prosperity toss salad a refreshing and fruity spin! 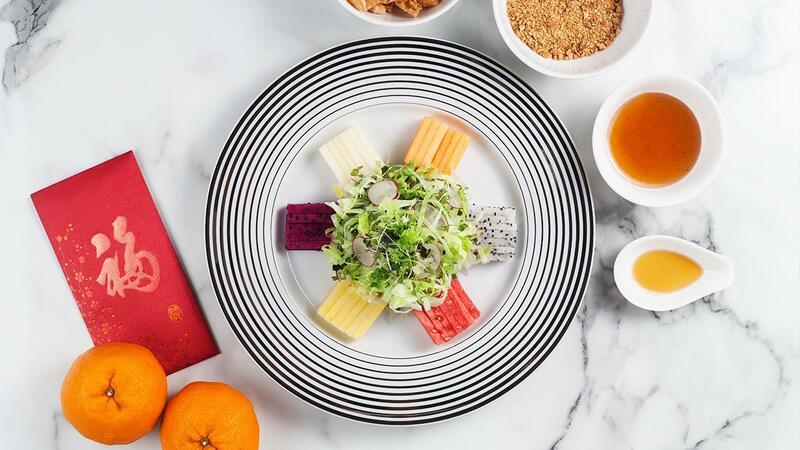 Delight in the abundance of shredded vegetables and fruit strips topped with homemade Yu Sheng Sauce to usher in the Lunar New Year. Here’s to a healthier lo hei! Mix all ingredients – Thousand Island Dressing, orange jam, plum sauce – well in a mixing bowl and chill till time to serve. Cut all fruits into uniform strips. Slice lettuce, rinse and spin dry. Slice red radish and refresh in ice water. Arrange all fruits neatly on a round plate. Place shredded lettuce over mix fruits. Garnish with red radish slices. Serve with yu sheng sauce, shallot oil, crackers and ground peanuts.